You might have heard of goal boards or vision boards to help keep you focused on the positive things you want to achieve in your life. Traditionally, you cut out pictures and write notes and arrange them on your vision board, then you look at it to remind yourself where you're going. Many people swear by these, and by all means, try one of your own, find out how you get on. They are quite flat and the other problem with these vision boards is that they are static. And although the pictures might be close-ish to what you want, they cannot ever be 100% because other people took those picture. Plus, and to me that's probably the greatest failing of a vision board, there are things you cannot put on them because people would freak out if they saw them, and then, there are all those things for which you can't find words, or pictures, they are just feelings of longing, deep inside, and you don't even know what that is. 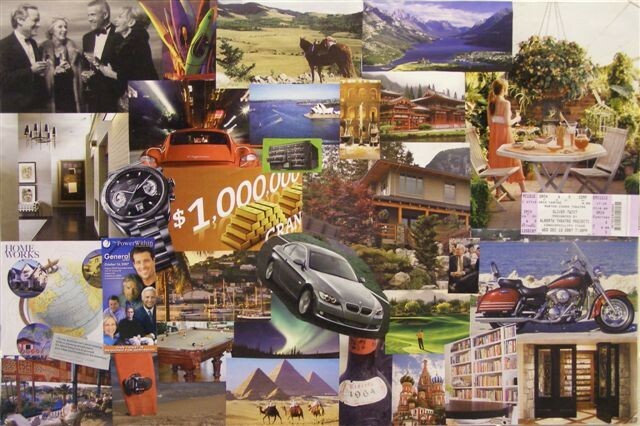 As a magical object, a vision board is definitely a whole lot more energy rich and effective than nothing at all, but we can do much better. We can create a magical object that becomes a MAGNET for positive energy of all kinds to come into your life, and that gets stronger and more powerful with daily use. Here's how to make your own energy magic luck generator. 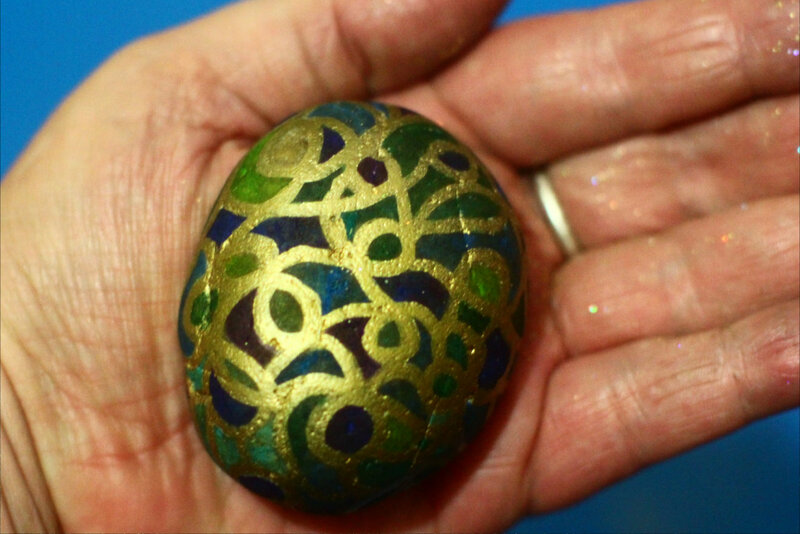 Choose a simple pebble, large enough so you can draw and paint on it easily. Make sure the surface is smooth enough to paint on it, but not so smooth that paint will slide off it. Scrub it clean under running water. Tap water is fine. Immerse it in a glass bowl which contains salt and water. Leave it outside for a day and a night under sun and moon. Doesn't matter if it's cloudy. Now your stone is ready to use. 3. Paint the grid on the stone. Wait for a good time when you won't be disturbed. Make sure you are not stressed but wide awake in mind and body. Draw a grid made of a single looping line using any kind of indelible ink. While you do this, think about all the things your heart desires. It doesn't matter what sort of things they are. Allow yourself to wish and want ANYTHING. Don't worry about forgetting something. We'll come to that later. 4. Colour in the grid. Now colour in the grid with indelible ink or paint (Sharpies work well). Keep thinking about what you want out of life. You do NOT need to know how any of this could happen. It's your job to ask for what you want. Let your wishes flow freely. If you run out, start making wishes on behalf of your friends, family, loved ones, humanity, the animal kingdom, the entire Planet Earth. Congratulations! You have created a major energy magic artefact! Hold the finished stone to your heart briefly, give it some love. Now place it in the most powerful place you have in your dwelling. If necessary, walk around your dwelling and ask, "Where does this magic stone need to go?" and pay attention to all your senses so you get that "The Click" which tells you when you've found the right place. Place the stone and leave it there for 24 hours to rest and settle. For the first week, pick up the your new, fresh, young energy magic luck magnet three times a day. In the morning, mid day, and before you go to bed at night. Hold it to your heart and think about what you want in life, for as long as you want to. You might repeat the same things you wished for originally or there might be new and other things coming to you. Let your wishes, wants and needs flow until you're all wished out. Kiss the stone and return it to its place of power. * I have suggest 3 times a day but you can do this as often as you need to. In cases of emergency, do it every time you feel the need or desire. More power to the stone! 7. Keep using the stone. This is an energy magic installation that gets ever more powerful over time. You are creating an energy vortex that will draw positive things towards you. It gets more powerful with age, and with use. If the lines or colours fade, re-draw them or draw new ones, but use the same stone. An important note: Do NOT use this for any form of black/negative magic, for example to wish ill on another person. That will create "a cursed object" that will bring bad luck, obviously. Focus on what you want, what will make you happy. Positive things only, such as lots of money, vibrant health, lots of energy, lots of love, lots of opportunity for fun and games, lots of miracles, that sort of thing. If you lose your stone, simply make a new one. Don't make too many of them or have too many of them around the place. That will cause chaos and they may all cancel each other out. I might write an article about that in its own right; people who are desperate often overdo it with charms, artefacts and magic objects and make matters worse rather than better because of that cancelling effect. If you are working in a group, with friends or a family who live in the same space, make them together at the same time. That way, they all harmonise and work together. You can make an energy magic luck magnet and give it as a gift. Conceivably, you could make many and sell them at a market :-) When you make energy magic luck magnets for other people, wish for simple things we all share, such as health, love, wealth, joy and happiness. Should you ever want to end this magic artefact, simply throw it in the sea or into a river or lake. You can do this when your circumstances have changed for the better a whole lot and you want a fresh start with a whole new set of wishes, wants and desires. This is a lovely, simple energy magic spell, good practice in the creation of powerful energy objects and highly effective. The energy magic luck magnet is also a wonderful example how real magic works, and how real magic is natural, and feels good.